ST. PAUL, Minn. — The day Eric Swanson sought a permit to build out his first Minnesota coin-op, officials hinted the property might get caught up in a future redevelopment project. When a condemnation letter arrived five years later, the action didn’t exactly come as a complete surprise. But what was totally unexpected was the faith he placed in a former house of prayer to rebuild. Swanson had acquired the building in 2005 and turned a vacant barber shop and insurance office into a well-oiled machine. Five years in, the 20-washer/23-dryer coin-op was humming along nicely, enjoying its prime exposure on an arterial roadway carrying 30,000 vehicles daily. 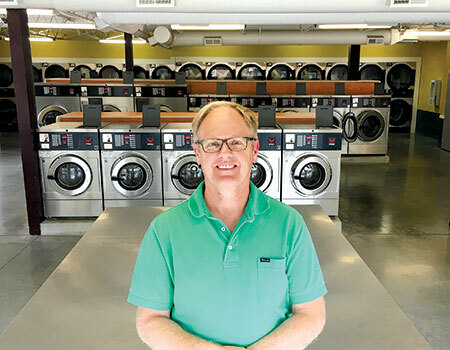 That all changed as the taking of the land by eminent domain sealed the laundry’s fate and started the clock ticking on an 18-month timeframe to relocate. Finding a new home in the Twin Cities metroplex—a market the veteran owner describes as “pretty well built-out”—wasn’t as easy as throwing a dart at a map. With a drop-dead date looming to utilize a quarter-million dollars in compensation funds, the stakes grew each passing day. The seasoned general contractor was also a real estate licensee and relied on the Multiple Listing Service (MLS) for leads. After a couple of potential sites fell through, he found himself drawn to an unorthodox St. Paul property with an Orthodox history. The building had most recently served as a Chabad-Lubavitch center, where faithful followers assembled for Judaic lectures, religious study and community events. 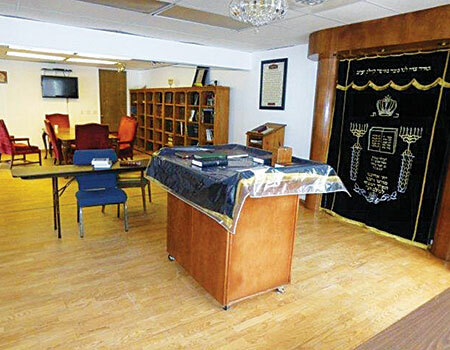 A place of Torah service was being eyed for self-service. At first glance, the site defies traditional coin laundry norms: a two-story structure with vehicle access off a side street. And if that wasn’t enough to give it a pass, the interior ceiling was not much higher than the doorways. After an initial visit, he scheduled another showing with the listing broker. With two decades under his belt building and renovating properties, the entrepreneurial businessman didn’t have to rely on divine intervention to transform a place of worship into a place of wash. No yarmulke required, just a thinking cap. The structure, set into a slope on the north side of a busy stretch of 7th Street between St. Paul’s Highland Park neighborhood and the banks of the Mississippi River, boasted similar traffic counts as the Brooklyn Park laundry, but that’s where the similarities ended. Check back Tuesday for Part 2!